Europe's third largest lake is widely considered one of its most beautiful, thanks to its incomparable Alpine setting. Yet what makes the freshwater lake truly unique is its geographical position between three countries: Austria, Switzerland and Germany. Oddly, it has never been established what part of the lake belongs to which country, thus making it impossible to determine what country one is officially in during a boat ride. 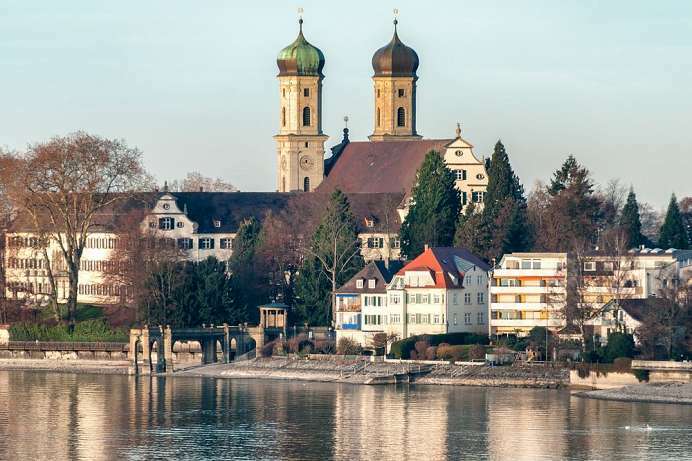 The River Rhine flows through the lake, entering at the east end, passing through the city of Konstanz and exiting near the medieval Swiss town Stein am Rhein. 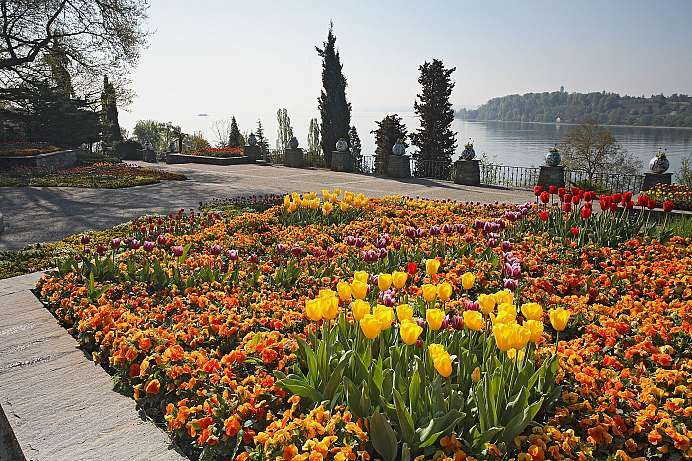 The romantic island of Mainau with its landscaped gardens and sculptured flowerbeds is worth an excursion. 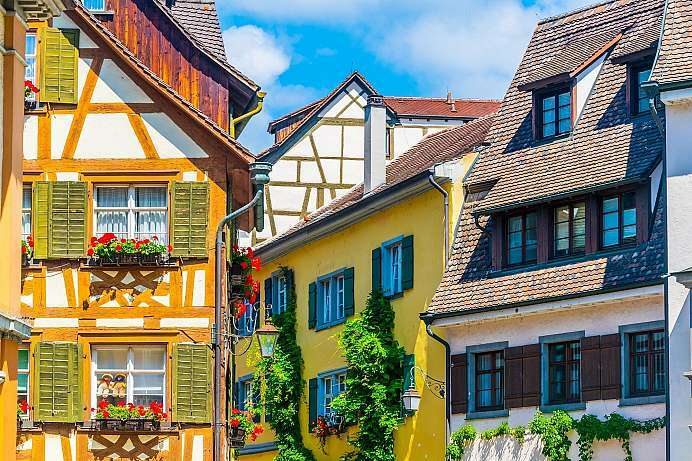 The little town of Stein am Rhein, the Swiss answer to Rothenburg just 28 km west of Konstanz, should not be missed. The capital of Vorarlberg lies on the south-eastern shore of Lake Constance at the foot of its local mountain, the Pfänder. More than 2,000 years ago there was already a Celtic settlement in the area of the historic old town, which was fortified with a wall and is now called the “Oberstadt” (upper town). The much younger Unterstadt (lower town) lies on the lake shore, along which a wide promenade runs with beaches at its ends. In front of the promenade floats a stage, which is used at the Bregenz Festival. The grandstand is on land and holds more than 4,000 visitors. The centre of the lower town is the Kornmarkt with the Kunsthaus (house of arts) and Vorarlberger Museum. 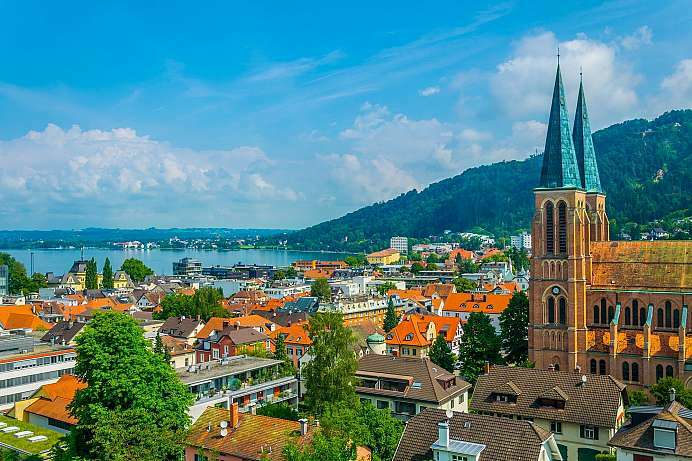 This town on the northern shore of Lake Constance named after the first King of Württemberg was only established in 1811. Because of free trade privileges with Switzerland the city grew rapidly and attracted industrialists and tourists, including the Russian Tsar Alexander II. 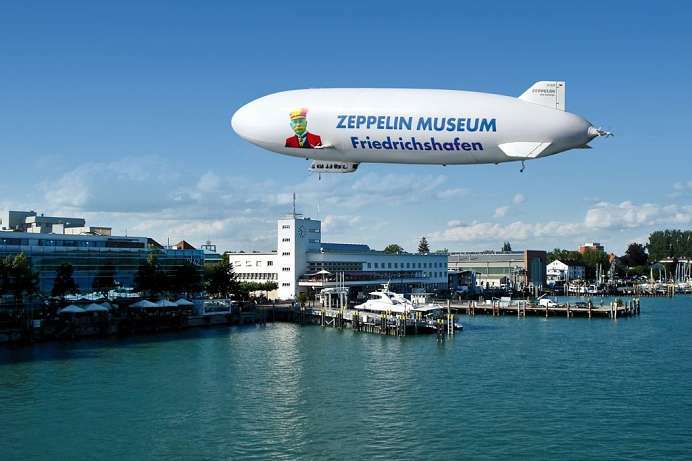 In the early 20th century the Graf von Zeppelin from Konstanz set up his airship factory in Friedrichshafen. This was converted into arms factories in the Third Reich, but today they belong to Airbus. 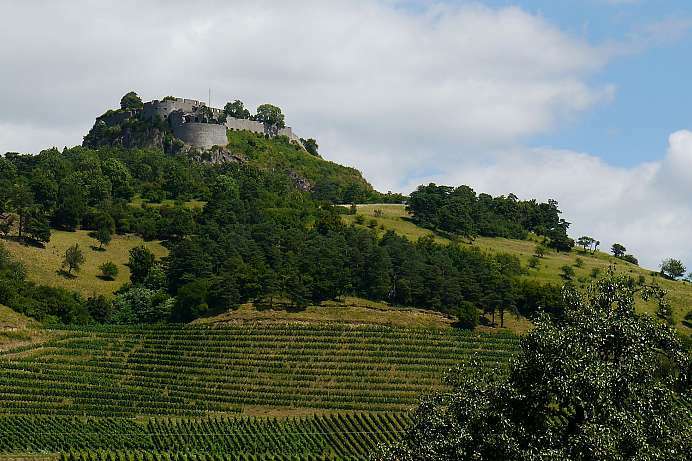 Towering above Lake Constance is the local hill of Singen, crowned by a ruin. 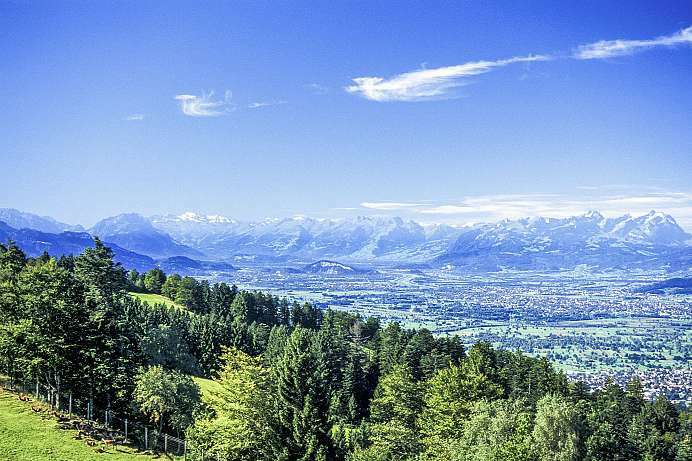 The 693 meter high Hohentwiel offers great views: From the impressive fortress the eye roams from Lake Constance across the rolling hills of the Hegau to the chain of summits of the Swiss Alps. For the last 9,000 years people have been settling on these slopes of the volcanic mountain. Farmers from the Neolithic period, artists from the Bronze Age and the Celts have all left their traces. A short one-hour walk leads from downtown Singen to the summit. Crisp white awnings, burnished brass and shining mahogany, teak and cherry wood: The (according to the trade press) “best restored steam ship in Europe” demonstrates the craftsmanship of an entire epoch and masterworks of the Art Nouveau. The historic paddle wheel steamer was built in 1913 for the crowned heads of Europe. 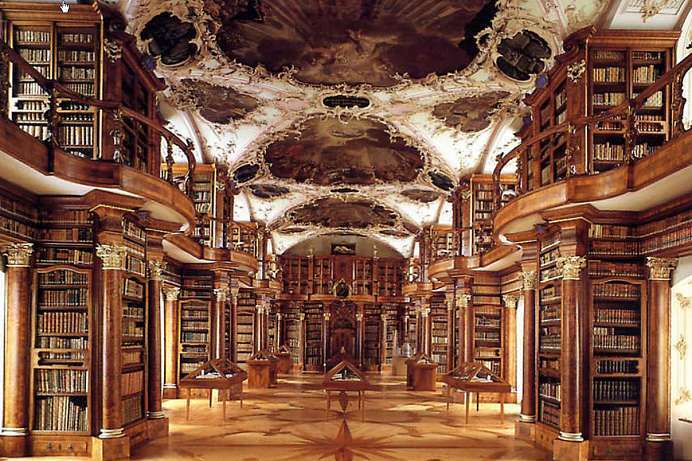 Since its restoration in 1984 it has also been accessible to the public. Gourmet tours, jazz concerts on board and other offers are available under www.hohentwiel.com . 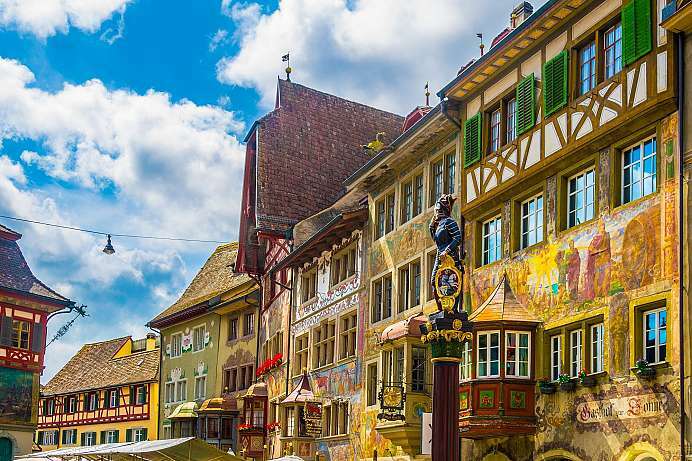 Despite its two thousand year history the city on the southern shore of Lake Constance is vibrant. This is due to the University, which attracts many young people, to the theaters and concerts. Since 1993 the harbor is dominated by a massive statue that rotates once around its own axel every four minutes. A nine meter high female figure with a plunging neckline holds two gnomes in her hands. This is the legendary prostitute Imperia and the two gnomes are the Emperor and the Pope. During the Council of Constance 1414-1418 she slept – and played – with both. Jan Hus, who criticized the power and demoralizing influences of concubines within the Roman Church most violently, was burned at the end of the Council in Constance at the stake. The old town around the cathedral and the town hall is especially beautiful and interesting. 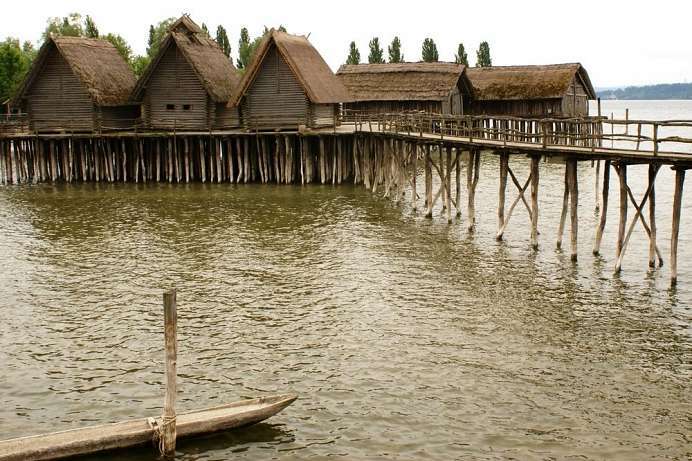 The open-air museum with 23 reconstructed houses from the Stone Age is located directly on Lake Constance. In the replica pile dwellings on the edge of a nature reserve, the history of the early farmers and traders in the foothills of the Alps is shown in six villages. On footbridges you enter the world of the Neolithic and Bronze Age. During a tour one can learn a lot about everyday life 3000 to 6000 years ago. How was fire made or flour ground? Touching is not forbidden, but encouraged to enhance the learning experience. 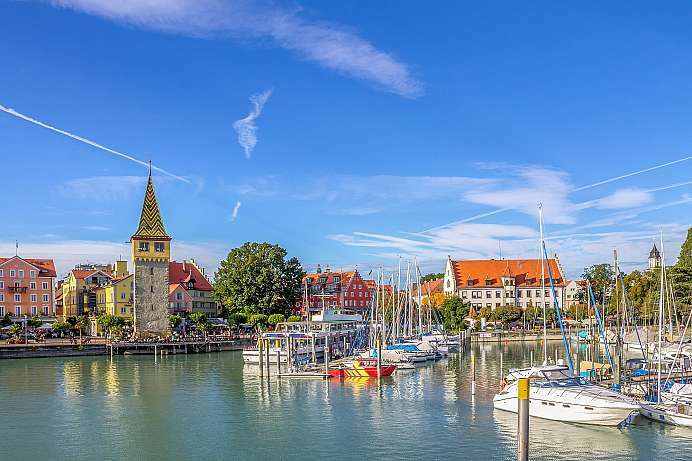 The picturesque old town of Lindau is located on an island in Lake Constance. It is connected with the mainland by a sea-bridge. 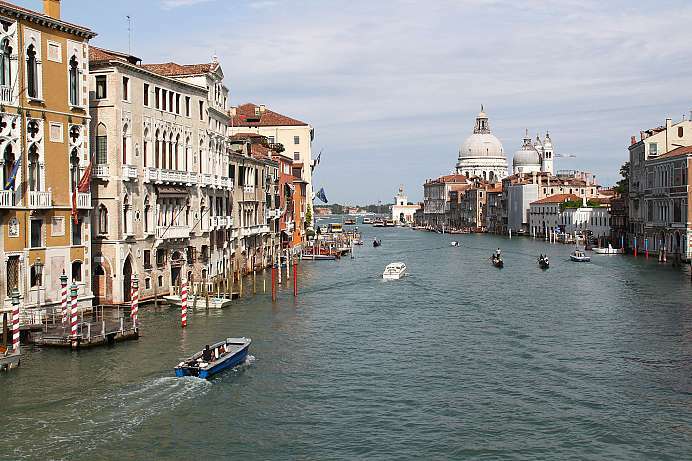 Maximilian Street leads past patrician houses from the Gothic and Renaissance era, finally ending at the harbor, which is dominated by a lighthouse and a six meter tall Bavarian lion. 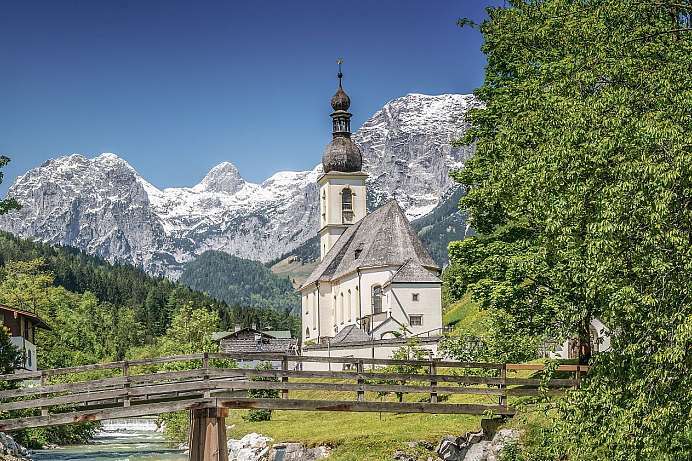 A beautiful riverside walk with views of the Alps skirts around the old town. 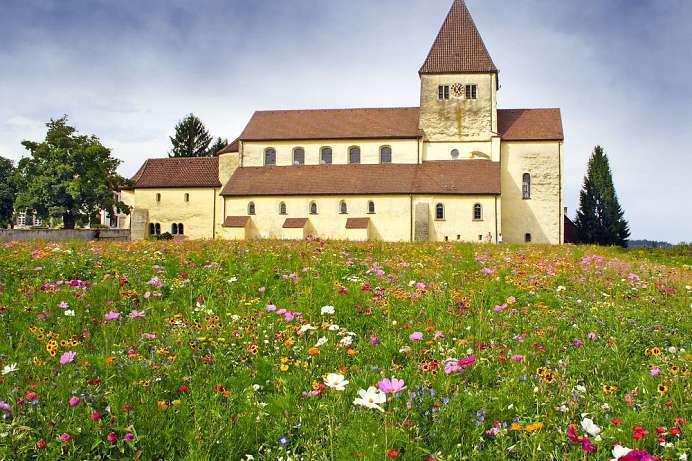 Due to its magnificent gardens and parkland the 45-hectare island at Konstanz is also known as “Island of Flowers”. The favorable climate contributes to the thriving of palm trees and other tropical plants. In March the flower season opens with an orchid exhibition. Thereafter blossoming tulips, narcissi and hyacinths have a turn to show off their beauty before being replaced by rhododendrons and azaleas. Summer is the time for roses and in autumn the dahlias develop their splendor. In the all-year-open butterfly house one can stroll around at 26 degrees and 90 percent humidity, marveling at the exotic vegetation and cascading waterfalls. At the transition between Obersee and Überlinger See lies the small town between forests and vineyards. The former fishing settlement experienced its heyday as the residence of the bishops of Constance between the 16th and 18th century, in which today's townscape was shaped. The New Palace east of the Schlossplatz was also built for the bishops. Today, Balthasar Neumann's impressive building houses the Dornier Museum. The Meersburg castle rises above the city. 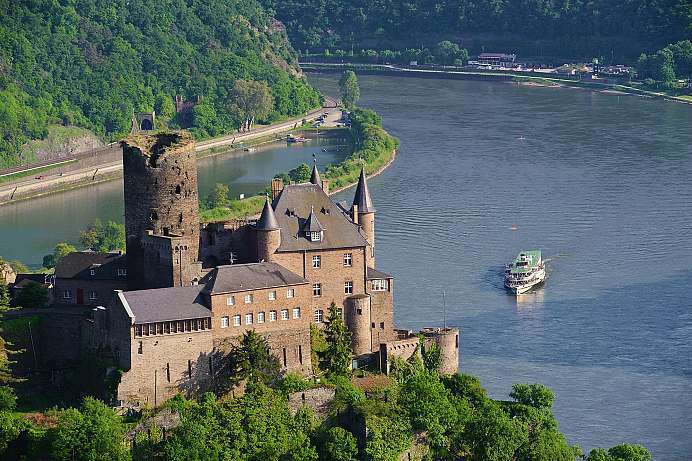 It is considered to be the oldest castle in Germany, which was inhabited throughout. The writer Annette von Droste-Hülshoff spent her last years here. The 1,064 metre high mountain above Bregenz is the most famous vantage point in the region with its unique view of Lake Constance and 240 Alpine peaks. When the weather is clear, the view reaches from the Allgäu and Lechtal Alps in the east over the Bregenzerwald, the steep peaks of the Arlberg region and the Silvretta, further over the Rätikon to the Swiss mountains and the foothills of the Black Forest in the west. 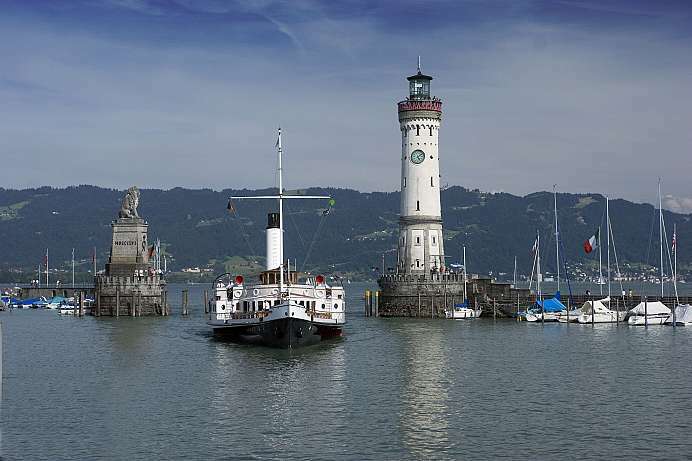 Lake Constance lies at our feet, framed by the Rhine valley and the Upper Swabian hills. From Bregenz, a cable car takes you close to the summit, where some restaurants await. Several marked hiking trails start at the top station. The long alley of poplars connects the island to the mainland and allows views of the Swiss shores and of the Gnadensee. The Wollmatinger Ried stretches on either side of the road. It is the largest nature reserve on the German side of Lake Constance. At the end of the alley the Traveling Bishop Pirmin greets you. Here is where he founded the significant Benedictine monastery in 724 and his statue serves as a reminder of the Church`s history. 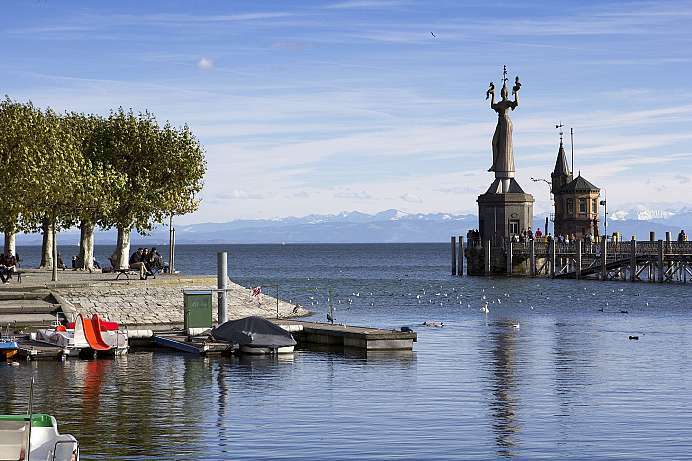 After crossing the Bruck waterway, one finally reaches the island which, with more than four square kilometers, is the largest in Lake Constance. This small jewel of a town lies in the lovely hills of Schaffhausen near where the Rhein leaves Lake Constance. Thanks to its medieval buildings, brightly-painted facades and magnificent timber-framed houses, this town, which was chartered in 1385, is also known as the “Rothenburg of the High Rhine.” In 1459, the town council made an alliance with Zurich and Schaffhausen in an effort to protect itself from attack by the Habsburg family. This is why Stein am Rhein now belongs to Switzerland. At the center of town you will find the town hall square, which, in addition to the town hall itself, features buildings dating to the 16th century. Friedrichhafen was the place where Count Zeppelin experimented with airships during the early days of the 20th century and founded a company. The multimedia museum on the former company premises contains the world's largest collection on the history and technology of aeronautics – from the first balloons to the giants of the air. Highlight of the exhibition is the walk-in and true to size reconstruction of the LZ 129 “Hindenburg”. The"luxury liner of the skies" exploded in New Jersey after its maiden flight over the Atlantic in 1937.